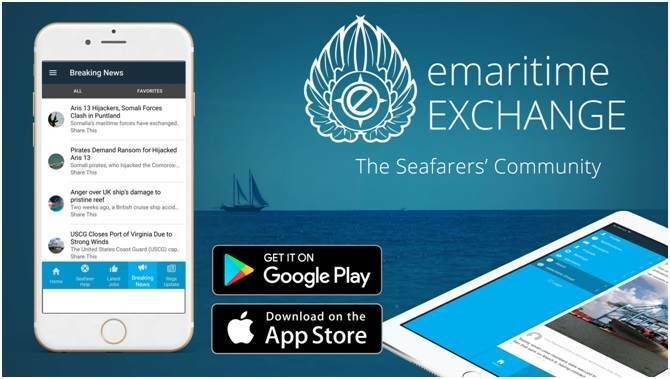 The eMaritime Group have launched a free social network app eMaritime Exchange for Apple and Android. Developed by seafarers for seafarers, the focus of the app is solely on improving the lives of mariners around the world. From breaking news to latest jobs posted daily and an interactive forum allowing the community to ask questions relevant to them and gain free advice from their global colleagues. The app was conceived through extensive research from both users and others within the industry and has highly interactive content by the use of push notifications for breaking news and new job postings.